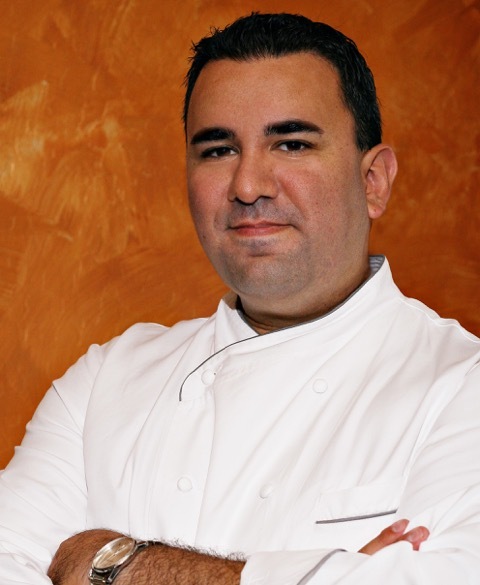 Rich Hinojosa, award winning Executive Chef and Sommelier for one of the most historic and iconic resorts in the United States. It has been a 24 year journey that has taken me all over the country to work in all different types of establishments to lead me back to the center of what I love, food in one of it's most pure forms. Tacos. At the age of 18, I applied and was awarded my first restaurant job, a server at a small independent restaurant in San Antonio, Texas. I was immediately hooked, I was one of the blessed and cursed people who love the restaurant business. I loved the food, the people I worked with, meeting new people every day, the small impact that I had on people's lives on a daily basis. I couldn't get enough, I wanted to learn everything I could about this business. I moved to a nicer, more established restaurant on the historic riverwalk of San Antonio, where I continued to serve, learned how to tend bar, how to close the books, how to do inventory, which led me to a management position. From there, I moved to hotels, taking on food and beverage management. As I progressed, I wanted to learn about the kitchen, so I moved to Scottsdale, AZ to attend the Scottsdale Culinary Institute. My goal was to learn enough about the kitchen to be a very well rounded GM or Owner. Once I started cooking, I never wanted to stop. After graduating with honors, I moved to San Diego to work with a Chef that I had researched and wanted to learn from, James Boyce. He had won numerous awards, and was a James Beard nominee. I spent a year working with Chef Boyce at Azzura Point at Loews Coronado Bay Resort, before he asked me to move back to Scottsdale to help him take over the kitchen at Mary Elaine's at the Phoenician. I spent another 3+ years at the Phoenician, earning a fifth star from Mobil, a fifth diamond from AAA as well as a Grand Award from the Wine Spectator, I also moved up to Sous Chef and eventually Chef de Cuisine. Wanting to start a family, I took a job working as the Chef and Cellar Master for a couple in Paradise Valley. I spent 3+ years doing all of their cooking, wine service, purchasing and special events in Paradise Valley, Cabo and Aspen before leaving to start my own business. I started CRAVE, with the idea that I could only do small events, expertly pair each food item with wines, and provide the best food and wine experience in Arizona. The business was financially successful, and gave me an opportunity to be as creative as possible. Before my two kids became too old and settled into schools, I wanted to give my family a once in a lifetime experience, and I took a great position as a Chef in Maui, HI. In Maui, I really came into my own, I took a beautiful beachfront restaurant, Tropica at the four diamond Westin Ka'anapali that was struggling and turned it into a destination dining experience in Hawaii. When I arrived, Tropica was rated #138 of 160 restaurants in Maui, when I left, it was #4. In a down economy, Tropica had it's most financially successful years of the decade, and we went from a 8% capture to a 23% capture of hotel guests. This restaurant was pushed to its limit, I overhauled the wine list, began doing tasting menus, wine dinners and Chef table dinners. While here I was a finalist for 'Best Young Chef Hawaii', won a medal at 'Grow Hawaii's statewide Iron Chef competition, was featured in Maui Times, Lahaina News, The Honolulu Star Advertiser, and on Cooking with Chai. While in Maui, I also took and passed my first and second levels of Court of Master Sommeliers exams. As my children grew older, we decided to move back to the mainland. I took a position as Executive Chef at the four diamond Hotel Jerome in Aspen, CO. This property was lost when I arrived, it had no food and beverage presence in the community, my first year there, we hosted part of the Food and Wine Classic of Aspen, and our reputation began to quickly turn around. Six months into my time at the Jerome, the hotel took a new management company, I did not feel it was a good fit for me, I finished the ski season and resigned. I started the next summer at Larkspur in Vail, CO. Larkspur was a very high end dining room at the base of the mountain. Larkspur had an award winning wine list, and was one of the highest rated restaurants in Colorado, while at Larkspur I was featured in the Vail Daily, Taste of Colorado, Ski Town Soups, Denver Life magazine, and on Good Morning Vail. The winter's in Colorado proved to be too much for my family and I, and we opted to move to sunny Arizona for the third and final time. I took the Executive Chef position at the four diamond Wigwam Resort, and I oversee all culinary operations for four restaurants as well as banquets and catering. Since my arrival here, we have taken food and beverage revenue from $11 million to now over $14 million, and profitability for my food and beverage department has gone from a 12% to almost double at 23%. My staff has made quarterly bonus for 8 of the last 11 quarters, where they had previously made 0 in 3 years. I have been nominated for manager of the quarter 4 times, and won manager of the quarter for 4th quarter 2014, as well as manager of the year for 2014. I was invited to participate at Devoured Phoenix, which is the premiere food and beverage event in Arizona, where the Wigwam had previously not been included. At Devoured 2015 I was awarded a gold medal for our dish by the Arizona Republic, and in 2016 I was again awarded a gold medal by Arizona Republic and won People's Choice Best Dish as well. I have participated in the past two years of Arizona Taco Festival, where I have won 3 first place awards and 2 second place awards. In 2015 when Arizona hosted the Superbowl, I was selected as one of only four local Chefs to participate and represent Phoenix at the coveted Taste of the NFL. Since arriving at the Wigwam, I have been featured in the Arizona Republic, Phoenix Bites, Arizona Foothills, New Times, Food Hunter's Guide, EaterAz, Phoenix Magazine, AZ wine lifestyle, on I heart radio, Good Morning AZ, Arizona Midday, and the Morning Scramble. It has been a long journey to get where I am today, as you can see I have worked in every area of the restaurant business, I have succeeded financially at every stop that I have made. I have left every establishment that I worked in better than it was when I arrived. The reason for this was great food, great management and instilling passion and an aspiration to be the best. I have received numerous awards, and am now ready to bring all of these successes to our own concept, CRUjiente.